Let me first of all thank everyone for their patience! I finally have another review for you! Normally, I only review those that have 3 or less published books, but I spoke with the author of today’s review, Johnny Ray, several months ago about reviewing LITERARY AGENTS–BEWARE, AN INTENSE ROMANTIC THRILLER, and I thought it was so catchy and interesting for debut authors, that I said that I would be happy to review it anyway. Johnny Ray is the author of not 3, but 10, international romantic thrillers. This is the story about an aspiring author who just happens to have bipolar disease. She meets and has a fling with a literary agent, hoping this will get her book read. When she is rejected, she is angry and vows revenge. 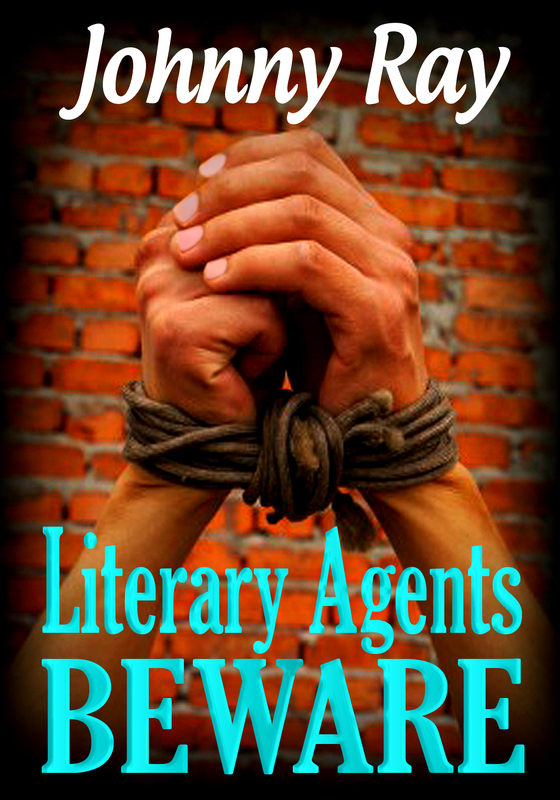 In the meantime, there is a serial killer targeting literary agents. Is she guilty? What is the connection? I do not like to give away any plot points or spoilers, so I will leave you to finish any descriptions of the book as mentioned on Amazon. My Thoughts: This seemed a rather tongue in cheek slant towards literary agents, of course, but not in any derogatory way. The main character is bipolar, as I mentioned above, and it is a bit tough to follow their thought processes at times. I do understand this, I once had a roommate with bipolar disease, and it can be hard to deal with. The author did quite a good job at depicting this. Her building of hate and feeling of rejection was very accurate. Her later actions of falling for someone that she hated so intensely, not so much. Although the beginning was a bit slow, it was a good buildup. I was really enjoying the first part of the book because of that. About 2/3 into the book, the pace increased as you would expect it would, but in my opinion, maybe a bit too much. When she totally throws her hate away and starts behaving out of character, I kept reading, but I stopped caring. I kept hoping for a bit of slowing the pace down a bit, but that never happened. The ending felt rushed. I felt a bit let down. I honestly wanted to be able to recommend this book highly, but I just can’t do that. I know that he has many books out and I have purchased a few others, which I do intend to read. I truly think that he is a very great storyteller, but this one was really not for me. DISCLOSURE: I received a complimentary copy from the author in exchange for an honest review. This in no way affected my review in any way. This entry was tagged bipolar, books, convention, international, Johnny Ray, literary agents, mysteries, rejection, Reviews, romance, romantic mystery, thriller. Bookmark the permalink.